Not only was I raised by an epicure family, but I married in to one. We all worship good grub which came in handy during the holidays when the Grubarazzi house hosted dozens of family members and friends. Lucie (aka: sis-in-law & Lulu) is a killer cook and she makes a mean eggnog. She learned the skill from her mom, and the tradition of making a silo of drunk, spiced egg batter for Christmas parties carried over to our house this year. 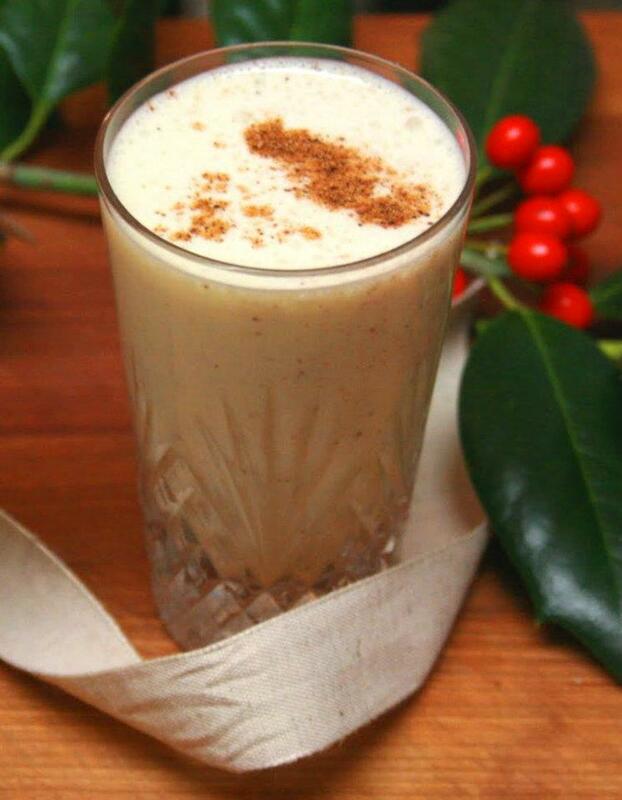 Step away from the eggnog carton, and pour yourself a heaping mug of Lulu’s eggnog. Step 2: In a very large mixing bowl, beat egg yolks until light in color. Add confectioner’s sugar in stages until combined. Add 2 cups of rum slowly while beating constantly. Cover and cool the mixture for 1 hour to dispel the taste of eggs. Step 2: Add remaining schnapps, rum, whiskey and whipping cream, beating constantly. Step 3: Cover and refrigerate for 3 hours. Step 4: Beat egg whites until stiff but not dry. Fold egg whites lightly in to the other ingredients. Serve sprinkled with fresh nutmeg and cinnamon to taste. Warning – We don’t mess around with this nog. The recipe uses raw eggs so buy organic, fresh eggs from a trusted source. The MASSIVE amount of alcohol will not kill any bacteria or salmonella. This is alot like my Dad's except we use just Rum... man its the best isn't it nothing like homemade! I am sure the additions of Liqueur are fabulous! Oh-Lulu definitely knows what I like-yum! That bottle of peach schnapps can now be put to some use. I will need to back down on the quantities, there is no crowd here. Sorry I will not save it for a crowd, me and the hubby will have to try it as a couple first. Then we can introduce for New Years-perfect timing with this post. Thanks for sharing this and Cheers to you in advance and happy New Year! I have never heard o peach schnapps in 'nog... but the next batch will certainly include it! Wow. Wow, that eggnog must pack quite a punch--it looks fabulous! PoPz here: Testify! I have witnessed this Nog. It may at first seem a mish-mash of liqueurs never destined to meet, but this is no haphazard blend. As described it is a not only the richest and strongest egg nog for all the obvious components, the flavor profile is sublime. Premium brands likely insure success, so while cheaper alternatives abound, sticking to the recipe will deliver a guaranteed reward. I am so curious about the peach schnapps in these! What an interesting addition to eggnog, I would love to try it! Peach Schnapps? Now that's got me intrigued. That sounds absolutely amazing! Peach Schnapps? What a GREAT idea! I've made egg nog before and it was delicious, but I over beat my egg whites and that was before I knew how to rescue them...so it wasn't as pretty as it should be...but delish none-the-less! This is amazing! LOVE that you have a family of foodies! Cheers to you and the family for a wonderful, foodie New Year! This is surely my kind of drink because all the booze inside is very tempting. We don't make eggnogs here and its not very popular even during Christmas. However, I have tasted some before long time ago during some Christmas gathering in my American friend's house.